Once again, the world is a beautiful place richer. 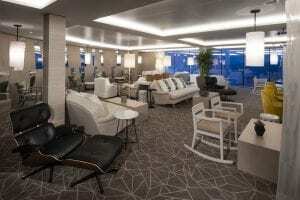 ROBOS has supplied, among other things, no less than 420 meters of sofa on board of the Celebrity Edge. Moreover, every meter of the fully upholstered and Corian® sofa is completely tailor-made. The fully upholstered sofas are located in the following rooms: The Club, Cabanas, Blu, and the Suite lounge The Corian® sofas are located on the Rooftop Garden. Tailor-made furniture makes everything more beautiful. 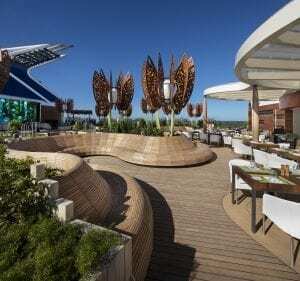 The Celebrity Edge is the first ship in the Edge class. 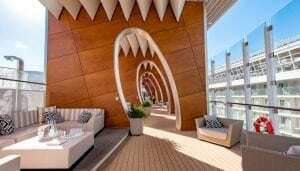 This luxury ship can accommodate 2,900 passengers. It was constructed at the Chantier d’Atlantique shipyard in Saint Nazaire, France. 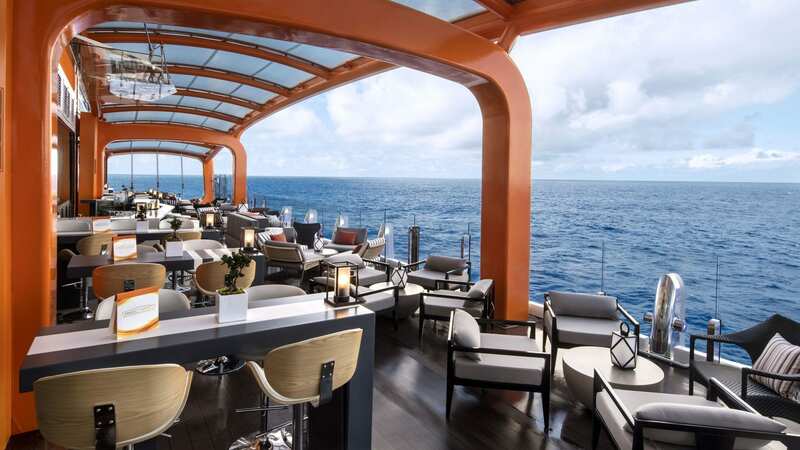 The interior was largely designed by the famous British interior architect Kelly Hoppen. 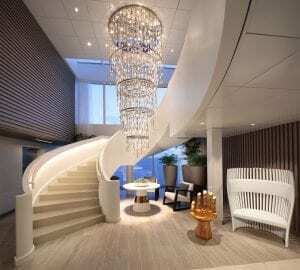 With her characteristic neutral color palette in tow, she has brought back the grandeur of cruising. What makes this ship unique is the so-called ‘Magic Carpet’. This is a transferable deck the size of a tennis court that moves up and down 16 floors. It was originally intended to transport passengers and make it easier to bring them ashore. Fortunately, it also turned out to be a great location for a restaurant. 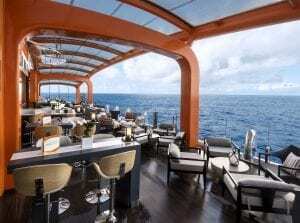 The fact that passengers can get off the ship more easily is, of course, a nice bonus. ROBOS is currently working hard on the Edge’s successor, the Apex. The Apex is expected to start operating next February.